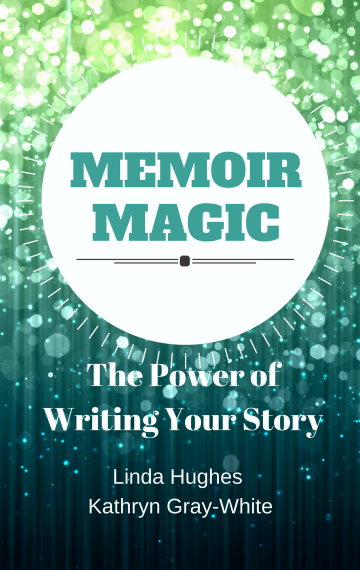 Writing your memoir will take you on a magical journey to self-discovery. We’ve never known a memoir writer—and we’ve helped many write their stories as well as writing our own—who didn’t feel changed by the process. The real enchantment is in the unveiling of the sweet moments, treasured memories, and unresolved mysteries of your life. That unveiling will change not only your relationships with other people but your relationship with yourself, as well. Nothing could be more powerful than that. This book guides you through the six steps of good memoir writing. Clear and concise, it offers tips and inspirations garnered from our years of experience helping people write their stories. You’ll benefit from our years of helping people write their memoirs. We’ve done two collections of short life stories, Atlanta’s Real Women with fourteen authors and What We Talk about When We’re Over 60 with thirty authors, the latter of which won the eLit Gold Award for anthology. Linda co-wrote the highly acclaimed The Spark that Survived with Myra Lewis Williams, the child bride of rock-and-roll icon Jerry Lee Lewis, and edited the memoir Captain Energy by Bruce Leonard. Bruce was an attendee at our first memoir writing workshop, and he successfully completed his book and got it published. We’re so proud of Myra and Bruce, and of all of the writers we’ve collaborated with over the years. We’ve learned, as you write your story, not only will you do some soul-searching and unburden your mind, you’ll also have the opportunity to leave a legacy for those yet to come. You never know who’ll pick up your story someday and find inspiration within your words. Just as you’ve lived and loved and suffered and laughed and prevailed, you’ll show them that they can, too. After all, you had the wherewithal to write your memoir. You’ll give them your own brand of a magic wand: hope. So go ahead, start writing. The magic of your story is already within you.